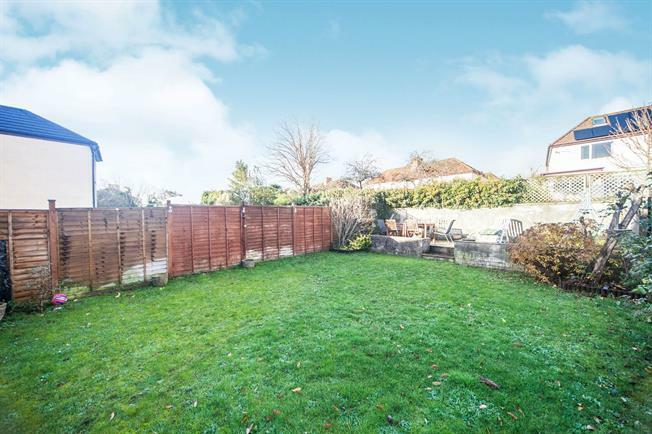 3 Bedroom Semi Detached House For Sale in Wells for £205,000. Well presented three bedroom semi detached family home situated a stones throw from the local school, that offers an excellent rear garden, spacious kitchen/dining room, family bathroom and scope to extend and/or add an en-suite to bedroom one. Call now to view! Double glazed uPVC window facing the front overlooking the garden. Radiator, feature fireplace, vinyl flooring. Double glazed uPVC window facing the rear overlooking the garden. Tiled flooring. Fitted wall and base units, stainless steel sink with mixer tap and drainer, integrated electric oven, integrated electric hob, space for washing machine and fridge/freezer. Double aspect double glazed uPVC windows with obscure glass facing the rear and side. Radiator, laminate flooring. Low level WC, panelled bath, shower over bath, wall-mounted sink. UPVC back double glazed door. Laminate flooring, under stair storage. Double glazed uPVC window with obscure glass. Carpeted flooring. Double bedroom; double glazed uPVC window facing the rear overlooking the garden. Radiator, carpeted flooring, built-in storage cupboard.